Discussion in 'Gran Turismo Sport' started by GTPNewsWire, Nov 1, 2018. 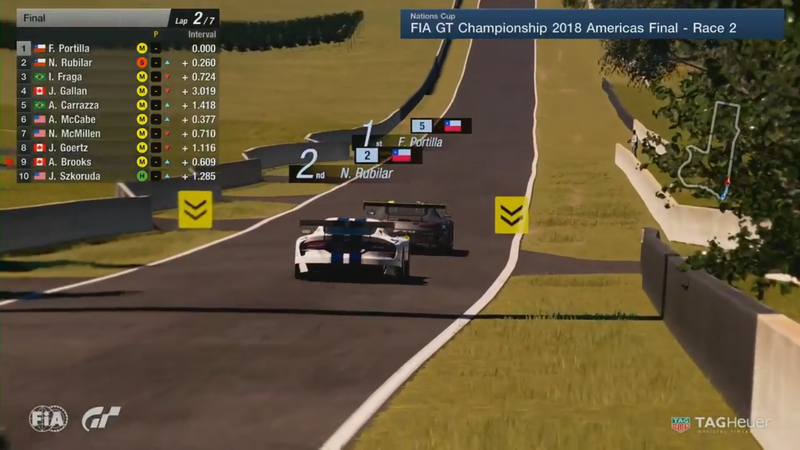 This article was published by Andrew Evans (@Famine) on November 1st, 2018 in the Gran Turismo Sport category. J24681357, K1LLD0z3R, Qyn and 19 others like this. About time. Been a long time coming! Sick of getting penalties from dirty drivers who carry the time to the end. mullercj, bduddy, fastone371 and 18 others like this. Sounds good, lets see how this is implemented. fastone371, Qyn, Scuderia Paul and 2 others like this. This will shake up the racing for sure. Hopefully they adjust the penalty system before doing this as well. klondike, fastone371, J24681357 and 4 others like this. Really like the sound of this. However "if another car strikes you from behind as a result of unghosting from serving the penalty, the game will deem the incidents to be your fault" sounds like it has potential to be abused. You'd have to be a petty racer to deliberately hit someone unghosting as you'd kill your own momentum, but there are petty drivers out there! Still sounds like an overall improvement of the system. I'm look forward to seeing how this works out. mef, fastone371, Qyn and 3 others like this. An idea if this is also happening in lobbies? According to Polyphony Digital, the system will also appear in Daily Races, although it’s unclear when this will start. There’s no information yet on whether it will appear as an option for private lobbies. mullercj, fastone371, K1LLD0z3R and 4 others like this. Well let's see how it'll play out! Can't wait. Hopefully it will be too difficult to get the timing right for that. The petty driver would need to position themselves behind a penalty-serving car and then make sure to keep just enough speed to catch up at the moment of unghosting. I feel like the penalty zone should be minimized to half of the track width and off of the racing line. I can already imagine having to dodge brake checking penalty servers. Pedinhuh and Qyn like this. Why even let players shave off their penalties? You don't see Max Verstappen slowing down on track to get rid of 5 seconds in F1, it's just added to the final time. Having cars slow down will always introduce danger to other drivers and force the need for otherwise pointless systems like this that we now have to be aware of. tofuhero, mullercj, candycab and 19 others like this. I like it. Hopefully the penalty algorithms will be tweaked to reduce incorrect penalties. Honestly should be just like the missions in gran turismo 4 where your gas pedal was disabled for some time then you could get back on it. It's the only fair way for those that abuse the game. Qyn, palqo and Nuschel01 like this. Actually serving the penalty soon after it is given will penalise the driver more. If someone gets a 5s penalty on Lap 1, they will be forced to slow down and will likely lose a lot of positions, and then have to race. Rather than staying ahead, building a 5s gap and then winning without the penalty doing anything. banDK, candycab, mef and 11 others like this. This might tempted me back to Sport Mode. Bond_Villain, Sinyster, Hasnain282 and 4 others like this. Hope this will wash away the "I hit you off the track, don't care about my penalty because I can lose it at the end of the race by slowing down to the speed of a snail" drivers. banDK, klondike, fastone371 and 5 others like this. That would a really bad idea ! I fail to see how this could cause the issues you describe, and how having it on half the track width would help either? candycab, fastone371, K1LLD0z3R and 2 others like this. In other racing series they make you serve the penalty as a drive through pit lane. This is what I feel they should have done. And the longer you wait on serving your penalty the more penalty time you accrue. But I am happy now that this system forces you to serve. cleanLX and TypeOne like this. I was afraid this new penalty system would result in people blocking others on the racing line in the multiplayer. K1LLD0z3R, Qyn, palqo and 6 others like this. Sounds like another bad idea. They’ll probably get rid of it by January. candycab, fastone371, Pedinhuh and 5 others like this. Racing is not for everyone. And GTPlanet has the worst drivers in the world. This problem will never disappear. We do not have this problem in RaceRoom and Assetto Corsa rFactor Iracing. Strange that this is a problem in GT Sport. As I have said before, it's not the game's problem, but the drivers who can not drive a car. Thas it! llNovall, fastone371 and Melbourne Park like this. Qyn and devildog666 like this. mef, Qyn and devildog666 like this. Guffaluff, fastone371, J24681357 and 1 other person like this. Surely the driver behind will see the bright yellow bar indicating that the car in front is about to take a penalty and just avoid them.......although, in the heat of battle you sometimes take a chance and hope they don't solidify in front of you. We do not have this problem in RaceRoom and Assetto Corsa rFactor Iracing. perja55, PSN:And-War, Guffaluff and 37 others like this.